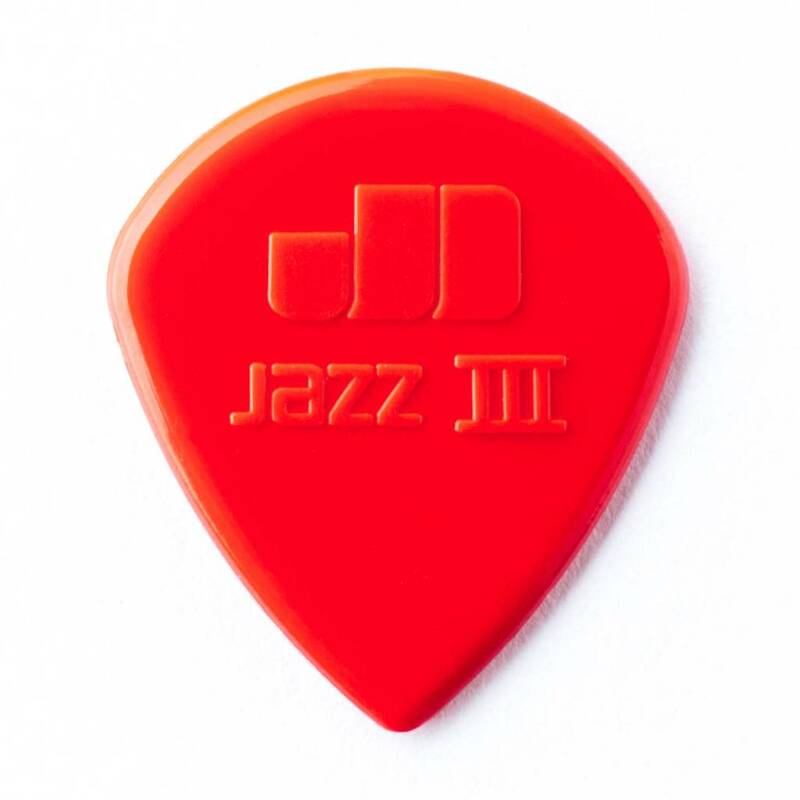 It's no wonder the Jazz III Nylon Pick has gained such a huge following among a variety of the world's top guitar players-its very shape is designed to let your technique take over. It's no wonder the Jazz III Nylon Pick has gained such a huge following among a variety of the world's top guitar players-its very shape is designed to let your technique take over. With a small profile, quick-release molded edge, and a sharp tip, the Jazz III gives you the control you need to play with speed and precision while notes ring out with clarity. Available in the warm sounding Red Nylon or the brighter, more aggressive sounding Black Stiffo.